Sarah, Daughter of Edward Antill, by said Anne, his wife, was born at his house in Piscataqua, in the County of Middlesex, in East New Jersey, the 18th day of August, 1740, at 7 of the Clock in the evening, and was baptized at the Church in said Piscataqua, on Sunday the I4th day of September following, by the Reverend William Skinner. Robert Hunter Morris, Esq, Chief Justice of New Jersey, her uncle on the mother's side, being her godfather, and Ursula Parker and Mary Forster her godmothers." She married Lieutenant Colonel John Morris. Isabella Graham Antill, daughter of Kdward Antill, 2d, married the Rev. Robert McKean, February 19, 1761, at Christ Church, Shrewsbury, N.J. This relationship possibly accounts for the warmth of Mr. McKean's eulogy of his father-in-law, quoted above, although Mrs. Antill is said to have been a "young lady of very gay and independent spirit, not calculated to enhance the domestic happiness of the missionary." The Rev. Robert McKean was b. July 13, 1732, the son of William McCain and Letltia Finney, his wife. William McCain was b. in Ireland in 1707, and coming to America in early life with his mother, Susan McCain, settled with her at Chatham, New London, Chester county, Penn., where he kept tavern until 1741, thereafter for four years at Londongrove, and later at Londonderry, in the same region. He d. Nov. 18, 1769. Robert McKean (as he wrote his name) studied for the ministry, probably under the Rev. Francis Allison. D. D., and having been ordained in England, in 1757 was appointed by the Society for the Propagation of the Gospel in Foreign Parts to be a missionery of the Church of England, at New Brunswick, his labors, however, often extending so far afield as Plscataway, Spotswood, Woodbridge, and more distant settlements in Central New Jersey. On taking charge of his mission he wrote home to the Society, January 8, 1758, that he "arrived at New Brunswick on the 16th of Dec., and was kindly received by his congregation, and had officiated regularly to them from that time." Writing again from New Brunswick, Feb. 5, 1758, to the Rev. Dr. Peter Bearcroft, Secretary of the Society, he says: "Since my arrival here I have wrote to you by two different Conveyances, one by the Pacquet, and another by means of a friend via Ireland. In them I have troubled you with a particular account of my Voyage and other proper occurrences, as also the kind reception I have met with and the happy prospect I have as yet in my mission." Young as he was, his indefatigable zeal and marked ability were speedily recognized. 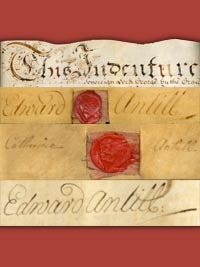 The College in Philadelphia (now the University of Pennsylvania) conferred upon him the honorary degree of A. M., in 1760. When Gov. Thomas Boone arrived in New Jersey, in July, 1760, the clergy of the Church of England waited upon him with an address, presented by a committee of three, of whom Mr. McKean was one. He served on a similar committee to address Gov. Josiah Hardy in November, 1761. He was regular and faithful in his attendance upon the convention of clergy which met in Philadelphia, April 30-May 5, 1760, to discuss the affairs of the church in Pennsylvania and the Lower Counties; he and Mr. Samuel Cook, "two of the Society's worthy Missionaries of New Jersey, [attending] with the kind intention of giving their best advice and assistance in promoting the designs of the Convention." When the pulpit of St. Peter's church at Perth Amboy became vacant, in 1761, the people of that congregation "had so much their hearts set on Mr. McKean" that they were "utterly averse" to the Society's selection, and were correspondingly glad when the appointee declined to leave Litchfield, Conn., and in the course of a year Mr. McKean was transferred to Perth Amboy, where he arrived in February, 1763, with a notification of his appointment as Missionary, his services being restricted to that parish exclusively, at the request of the vestry. In 1764 Woodbridge was placed in his care, he visiting it once every three weeks. In these charges he labored with indefatigable zeal and assiduity, and manifestly had the confidence of the older clergy. His own experience of the hard ship laid upon young Americans who were obliged to go to England for ordination made him an ardent and perhaps intemperate advocate of the plan of appointing American Bishops - a cause so ably urged by Dr. Chandler. Mr. McKean studied medicine, and was a successful practitioner in that profession, and so much esteemed among his fellow medical men that he was one of the seventeen who organized the New Jersey Medical Society, in July, 1766, and was elected its first President. His parishioners did not object to his practicing, but they - at least some of them - did find fault when he sent in his bills. He also seems to have taught school at Perth Amboy. Mr. McKean m. Isabel Graham Antill, Feb. 19, 1766, at Christ church, Shrewsbury. She was a dau. of Edward Antill, 2d, of New Brunswick, and Anne Morris, his wife, dau. of Gov. Lewis Morris. She is said to have been "a young lady of very gay and independent spirit, not caiculated to enhance the domestic happiness of the missionary." In his will, dated Sept. 13, 1767, he describes himself as "Clerk, Missionary from the Society for the Propagation of the Gospel in Foreign Parts, at Perth Amboy." He mentions his wife, but no children. He died at Raritan Landing, near New Brunswick, at the residence of his father-in-law, Edward Antill. 2d, October 17, 1767, after a long and wasting iliness. "In Memory of The Rev. Robert McKean, M. A., Practitioner in Physic. &c., and Missionary from the Society for the Propagation of the GOspel in Foreign Parts, to the City of Perth Amboy:�who was born July 13th, 1732, N. S., and died Oct. 17th, 1767, An unshaken Friend, an agreeable Companion, a rational Divine, a skillful Physician, and in every relation in life a truly benevolent and honest man, Fraternal love hath erected this monument." Lewis Antill, son of Edward Antill, 2d, married Alice Colden, daughter of Cadwallader Colden (third son of Lieutenant-Governor Cadwallader Colden, of New York), Nov. 30, 1771.' He is said to have served in the American army, during the Revolution, and to have lost his life at the battle of Brandywine (September 11, I777). No record of such service has been found. He was the "Dr. Lewis Antle" who visited Judge John Fell, the New Jersey Congressman, on May 11, 17/7, in the Provost Jail, in New York. Nothing has been learned of his subsequent history. He was deceased at the date of his mother's will, March 27, 1778. He left one child, Elizabeth Colden Antill, mentioned in that will, as above. He and his wife are said to have died in 1776, leaving two daughters. This date is obviously a year out of the way.